While Lance Armstrong will still earn a lot of money out his various investments in endurcance industry, book store employees react to the downfall of former seven time Tour de France Champion. 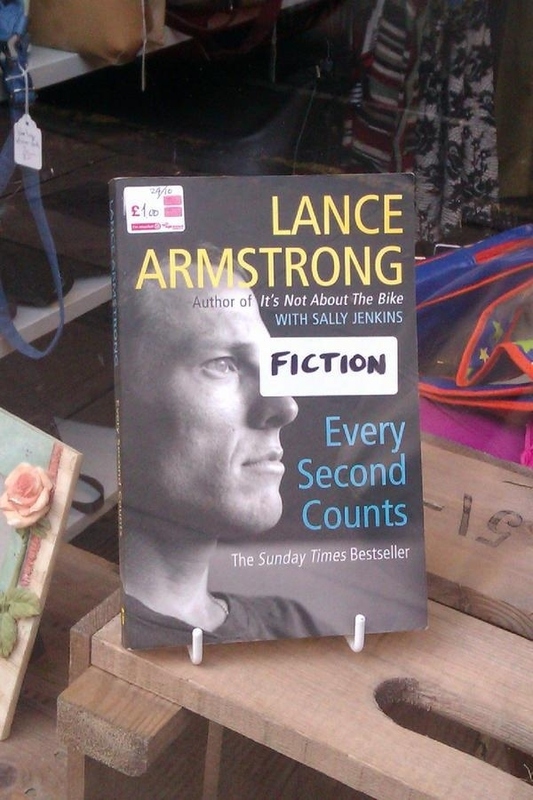 It started as a joke, but all over the world Lance Armstrong's books a switching places. A Glasgow based book story put them into the "Fiction" section and dumped the "Every Second Counts" price tag to just one British Pound.